The Labour Party is pledging to penalise multinational companies that avoid paying tax in New Zealand - a move National has ruled out in the work it’s doing to close loopholes in the tax system. Labour wants to introduce a diverted profits tax (DPT), which taxes any profit a multinational has avoided reporting for income tax purposes. This is the so-called Google tax introduced in Britain and Australia. Its announcement comes as the National Party led Government wraps up consultation on law changes to prevent companies from: using artificially high interest payments to shift profits offshore, artificially avoiding having a taxable presence in New Zealand, and exploiting hybrid mismatches between different countries' tax rules. Labour believes adding a DPT to these reforms will see the full $300 million of tax revenue, which National believes New Zealand is forgoing each year, recouped. The Government, in its Budget released two months ago, said the reforms would see it collect an initial $100 million a year. The party is yet to work through the final details of the tax, but Wood expects it will be a bit above the standard company tax rate of 28%. Labour has committed to giving the Inland Revenue Department an additional $30 million a year over three years to oversee the law changes. Labour Leader Andrew Little says: “The experience [with a DPT] in the United Kingdom has been positive, as companies such as Amazon are now booking their profits in the UK rather than in the tax haven Luxembourg." “Introducing a DPT would mean that there would be a new type of tax, separate to income tax, to deal with a minority of aggressive multinationals. “It could impact on foreign investor’s perceptions of the predictability and fairness of New Zealand’s tax system for foreign investment. 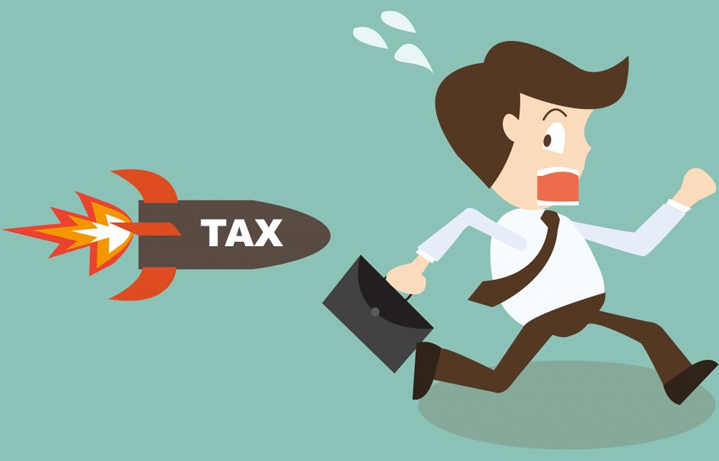 “As a separate tax from our general income tax it may produce unintended adverse consequences for taxpayers – especially with regard to normal grouping of tax attributes (for example income tax losses would not be able to be set off against diverted profits). “A DPT may also have an unintentional negative impact on compliant taxpayers. The more we get into imposing arbitrary taxes the greater the risk of other countries doing the same to our exporters. “Overall, a DPT chips away at the consistency, neutrality and relative simplicity of our tax system from a global perspective. Wood believes the comments in this Cabinet paper are “pathetic” and “indicative of the Government’s weak approach”. He is outraged the Government isn’t releasing submissions made on the consultation documents it issued in March, detailing how it proposes to tackle tax avoidance. “There should at least be some transparency so we can see who’s saying what and whose interests those views represent,” he says. While Wood is “broadly supportive” of the law changes the Government is working through, he says Labour will release a document outlining its take on these within the next week or so. I think the battle for company tax has probably being lost. The UK has not successfully tackled this despite Labour assertions.We need to come up with a better plan. The US has proposed a turn-over or revenue tax (it won't happen as agreement in the US is impossible) and is something we should look at. I fear we can't win the corporate tax battle. Dont get me wrong I think its outrageous that Google dont pay tax ( even on their advertising revenue for example ) but Labour are farting against thunder with this ill-conceived somewhat loony plan .......writing to 60 Companies to ask them to pay more tax when they don't have to. Its an election gimmick which will not garner any more voters other than the ones they have. However - the reverse charging rules will apply to many NZ companies using Google and FB etc to run their ads. The IRD rules require these companies to gross up their charges from any offshore supplier and pay the GST amount. I bet there is a lot of money from big NZ advertisers (think finance companies) that have ignored this or are unaware of this rule. buyer generated invoice ? Could be an interesting way to deal with ,mail imports too. It's simple - Tax on revenue. Just like all other income earners. If they earn money here, they pay tax here. So where will Fonterra pay its tax? When is a Govt make SANATIRIUM pay tax. Yes, something that should definitely be reviewed. What they do is a commercial business venture, not "fundraising". So all charities should be taxed? After all, they are commercial ventures by the same token as you apply to Sanitarium. As always, a bit more research into the topic before commenting would do you good. Should all charities be taxed? No, where did I say that? If you can't differentiate between the RSA selling a few poppies for one week each year, and a major consumer brand selling in every supermarket, dairy, and food store in NZ year round, then maybe you should do a bit more thinking before commenting yourself. If they were a true charity they wouldn't be trying to stop a company importing the same kind of product. What about Greenpeace and World Vision, etc, etc. I bet they would be happy if they had no competition in the charitable donation market. The scope of their operation is of no consequence. It's what they do with the 'profits'. In Sanitarium's case, it is fundraising for their religious pursuits. I seriously doubt Labour will do this. They will SAY they will do it, and at the end of the first 3 year term (should they get in) they'd still be in the 'policy implementation' phase. It's marginal whether Andrew Little has the vision to pilot a car, let alone the nation. Bill English has the ability, but no incentive. The Greens' left hand doesn't know what the right hand is doing. TOP are too smart to be be in government. Who needs evidence when you have blind ideology and vested interests? Winston is the only option for a strong, decisive leader IMO. Not without his flaws, but the only option.
" It don't matter if the effort costs more than the tax collected" - I could point you to some windmills - perhaps you would like a tilt ? So who is the biggest multinational on the planet ? And by - the -way they pay 90% of their staff the minimum wage ? ..hey i got it first...who do you think Jesus is? hmmmm, wafer flavoured weetbix, yeah nah . If I ever entered politics that would be my first bill the "Render unto Caesar" bill, taking away all tax privileges from religion.